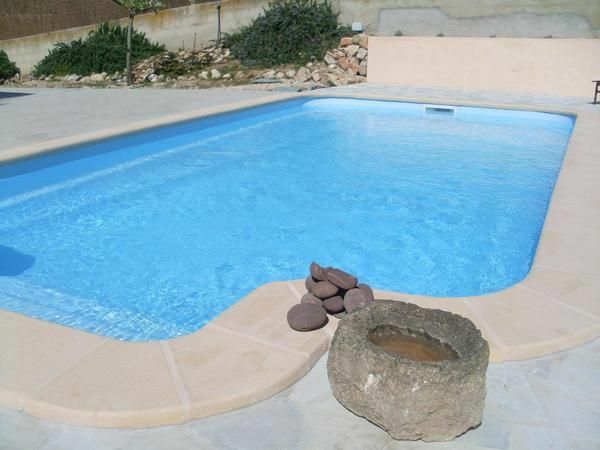 Wonderful house in the town of Manacor, in a new development on the outskirts of the city, where you can enjoy the tranquility of the countryside and the amenities offered urbanization, only 2 km from Manacor. House totally new construction completed in 2010. The spacious 210 square meters, consists of two floors on a plot of 2,000 square meters. It has three bedrooms for six people, besides having a bathroom on the floor, a bathroom in the master bedroom and another bathroom on the ground floor. All bedrooms have fitted wardrobes. The house is fully equipped. The kitchen has electric induction cooker, refrigerator, dishwasher, microwave, and all necessary kitchen accessories. The lounge has a large sofa and TV with satellite channels, in addition to having the house free WiFi internet. On the outside, in front of the house is a large terrace with beautiful views, equipped with table and chairs where you can spend a pleasant evening. It has a swimming pool with terraces. It also has barbecue.